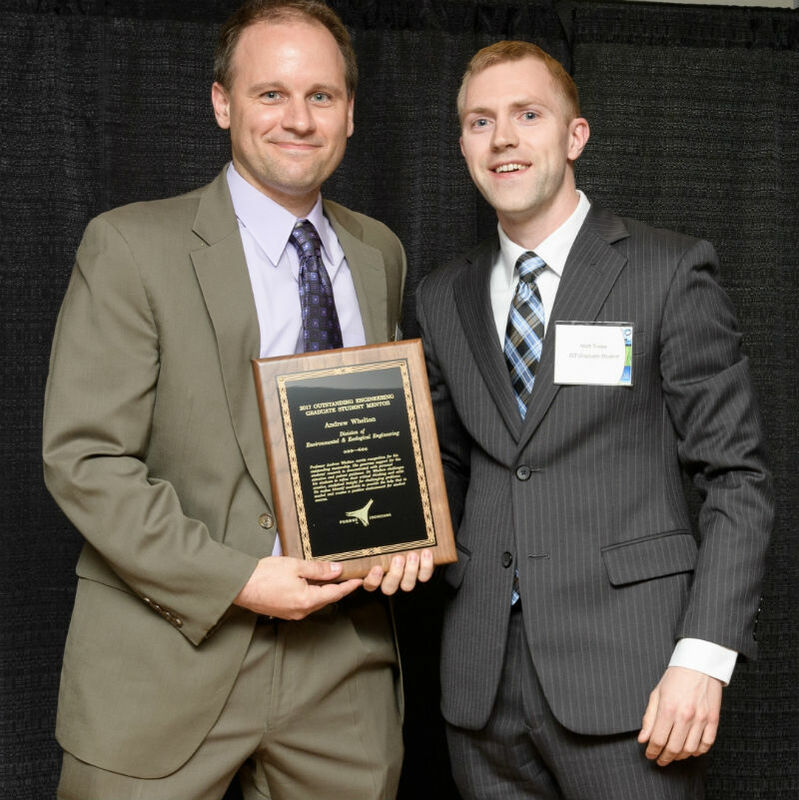 Dr. Chad Jafvert, professor of Environmental and Ecological and Civil Engineering, was awarded the 2017 Society of Environmental and Ecological Engineering (SEEE) Instructional Excellence Award at the EEE Recognition Night. 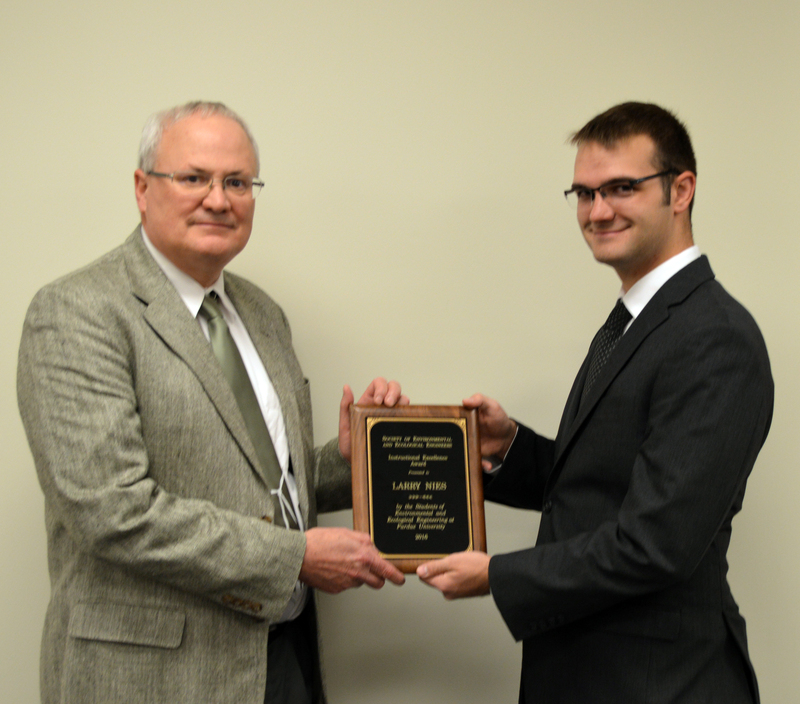 For the first time this year the Outstanding Engineering Graduate Student Mentor award was awarded. This award is voted on by the graduate students in EEE and it is to recognize a faculty member who has been an outstanding mentor to graduate students. Dr. Larry Nies, professor of Environmental and Ecological and Civil Engineering, was awarded the 2016 Society of Environmental and Ecological Engineering (SEEE) Instructional Excellence Award. The College of Engineering announced the University's Bravo Award winners. The award recognizes outstanding contributions in four categories: moving the University forward, operational excellence, innovation/creativity, and fiscal stewardship. The recipient of the Bravo Award for 2016 is Tammi Thayer, Associate Director of Advising in EEE. Thayer was recognized for her work in assessing students' experiential learning beyond the classroom, and their interactions with faculty. Professor Larry Nies was selected as one of five recipients of a 2016 Outstanding Undergraduate Teaching Award in Memory of Charles B. Murphy. 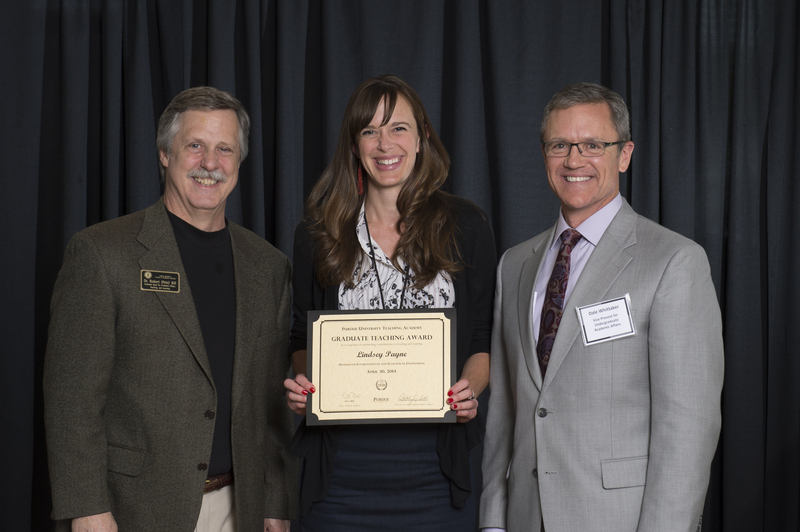 This award includes induction in the Purdue University Teaching academy, which recognizes faculty members and graduate teaching assistants for outstanding and scholarly teaching in graduate, undergraduate, or engagement programs. 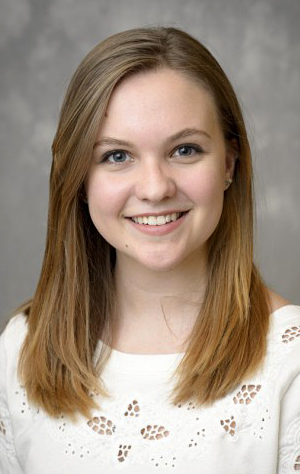 Purdue University graduate Marisa Henry has been named a Gates Cambridge Scholar. Henry, a Canadian citizen now living in Austin, Texas, is one of 55 recipients of the scholarship from a worldwide pool of 3,730 applicants outside the U.S. and the United Kingdom. 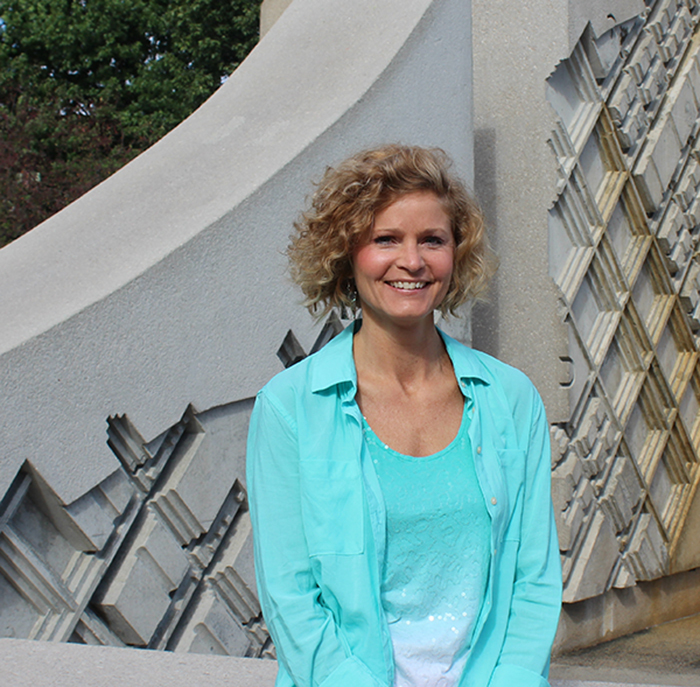 Nadya Zyaykina, Laboratory Manager, won the College of Engineering New Employee Award. Dr. Zyaykina holds a joint position with Civil Engineering and Environmental and Ecological Engineering and supports the environmental laboratories in Hampton. The College of Engineering will shortly be announcing the University's Bravo Award winners. The awards recognize outstanding contributions in four categories: moving the University forward, operational excellence, innovation/creativity, and fiscal stewardship. The recipient of the Bravo Award for Spring 2015 was Terri Moore, Administrative Assistant in EEE. Gamini Mendis was a recipient of the 2015 Magoon Award. The Magoon Award recognizes outstanding teaching assistants and instructors in the College of Engineering. Loring (Larry) Nies, Professor of Environmental and Ecological Engineering and Civil Engineering, received the 2015 Excellence in Environmental Engineering Education Award. The College of Engineering will shortly be announcing the University's Bravo Award winners. The awards recognize outstanding contributions in four categories: moving the University forward, operational excellence, innovation/creativity, and fiscal stewardship. The recipient of the Bravo Award for Fall 2014 is Dr. Nina Robinson, Administrative Director in EEE. 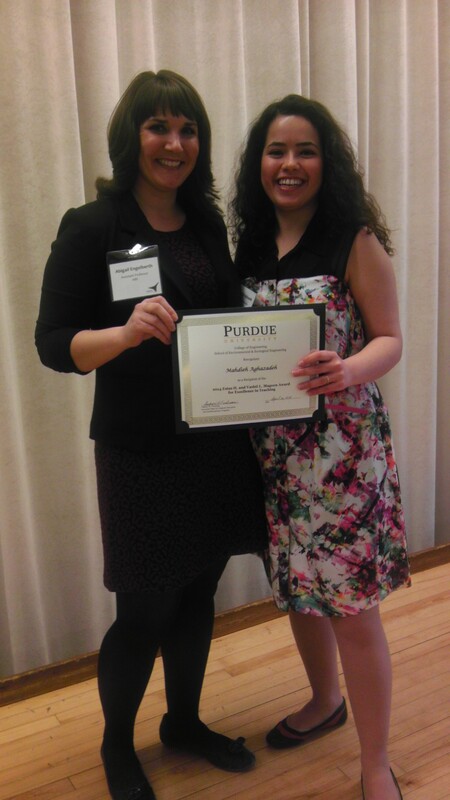 Mahdieh Aghazaden, EEE TA, awarded the Estus H. and Vashti L.
Mahdieh Aghazaden, TA for EEE 250, Environmental, Ecological, and Engineering Systems, was awarded the Estus H. and Vashti L. Magoon Award for excellence in teaching. This award is for graduate teaching assistants in the College of Engineering. 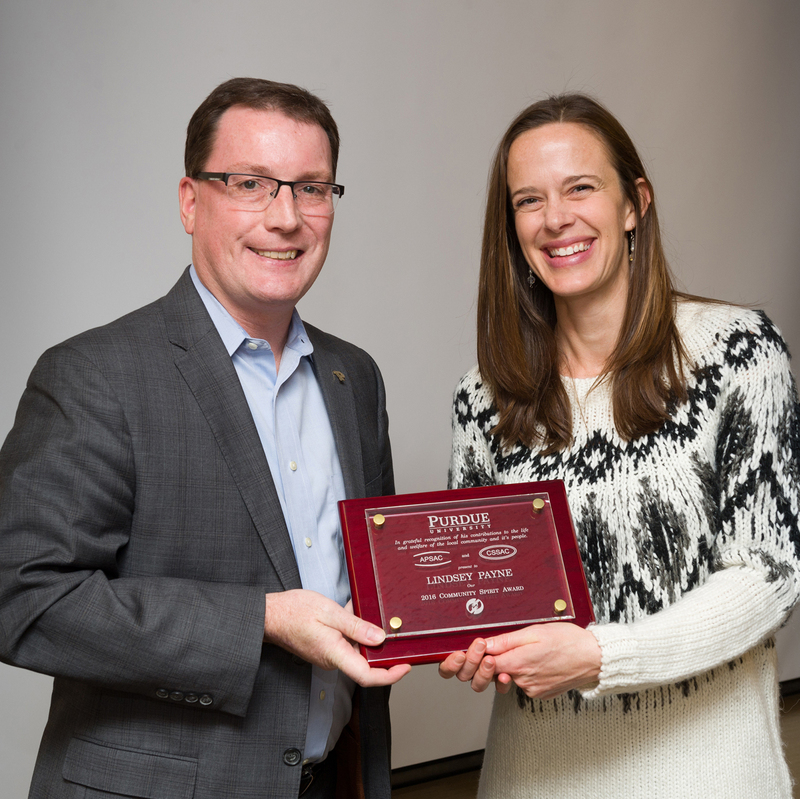 Lindsey Payne, Graduate Instructor for EEE 495, Urban Water Projects, and TA for EEE 355, Engineering Environmental Sustainability, has been awarded the Teaching Academy Graduate Teaching Award. Graduate students were honored Wednesday (April 30) at the 16th Annual Celebration of Graduate Teaching Excellence, hosted by the Office of the Provost, Teaching Academy, Graduate School and the Center for Instructional Excellence. EEE Proffesor Chip Blatchley has been elected a Fellow of the American Society of Civil Engineering. ASCE fellows are legally registered professional engineers or land surveyors who have made significant technical or professional contributions and have demonstrated notable achievement in responsible charge of engineering activity for at least 10 years following election to the ASCE grade of member. Fellows occupy the Society's second-highest membership grade, exceeded only by honorary members. Larry Nies has been selected to be inducted into The Book of Great Teachers. The induction ceremony is planned for December 2, 2013 from 3:30-6:15 p.m. in the South Ballroom of the Purdue Memorial Union. The Book of Great Teachers, a permanent wall display in the west foyer of the Purdue Memorial Union, was first unveiled in 1999. The book bears the names of past and present faculty members who have devoted their lives to excellence in teaching and scholarship. Honorees include past recipients of university-wide teaching excellence awards and those nominated by students, alumni and colleagues. The nomination process for the book occurs every five years. Prior to this year, the last ceremony was held in 2008, when 49 faculty members were added to the book. To be eligible for nomination, professors and former professors on the West Lafayette campus must have served on the Purdue faculty for at least 15 years. Professors on the West Lafayette campus with 10 years of service to the University who have been previously honored with the Charles B. Murphy Outstanding Undergraduate Teaching Award and 10 years of service, or recognized as Indiana Professor of the Year, or those named by the trustees as distinguished professors for teaching, are automatically included in the book. 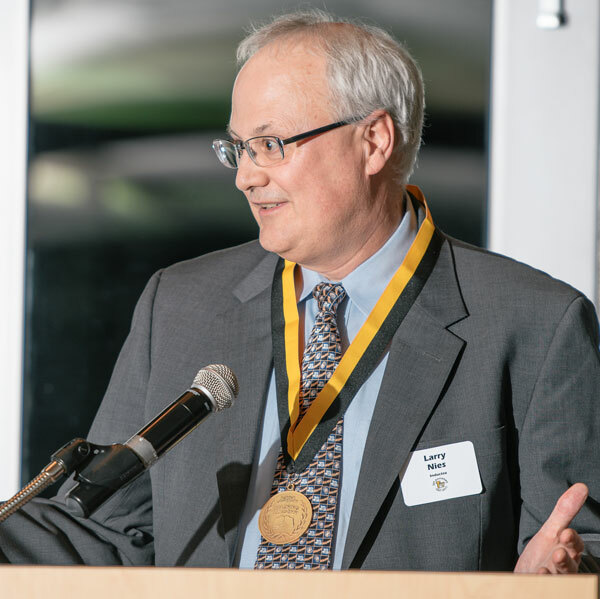 John W. Sutherland, the Fehsenfeld Family Head of Environmental and Ecological Engineering (EEE) at Purdue University, is the recipient of the 2013 ASME (American Society of Mechanical Engineers) William T. Ennor Manufacturing Technology Award. The award was presented on November 17 at the 2013 ASME International Mechanical Engineering Congress & Exposition in San Diego. Professor Sutherland is widely recognized for his contributions in the area of sustainable manufacturing; he has mentored over 80 students to the completion of their graduate degrees and has published nearly 300 papers in various journals and conference proceedings. Professor Larry Nies has received the 2012-13 Dean Marion B. Scott Outstanding Professor Award. 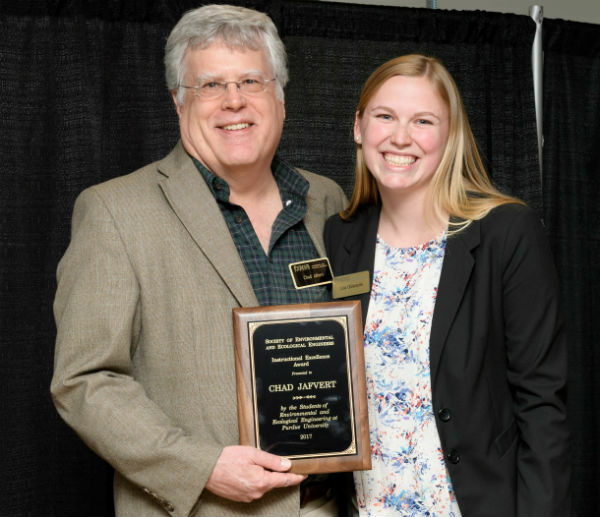 This is an annual award presented by the Purdue chapter of Tau Beta Pi to an engineering professor for his or her devotion to encouraging, inspiring, and advising the engineering student body in order that engineering students might grow both academically and professionally. 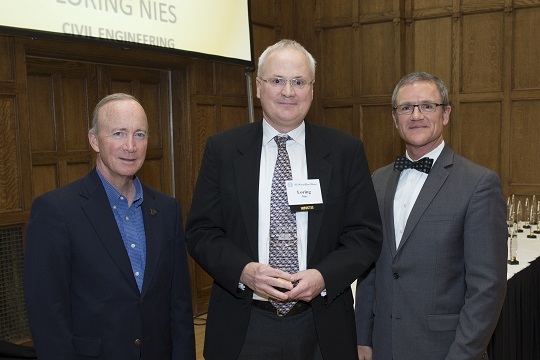 Loring Nies, professor of civil engineering and environmental and ecological engineering was recently named one of three Purdue 2012-13 Learning Communities Advocate Award winners. Every year, students involved in Purdue Learning Communities are surveyed about their instructors and the LC program staff choose a winner or winners based on student testimonials. 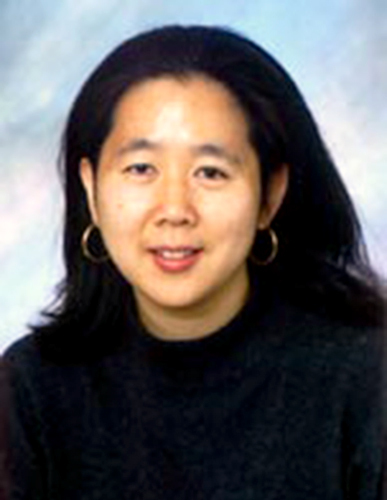 Nies was among 110 Learning Communities' instructors during the fall 2012 semester, and 40 who were nominated for the award. Among the comments submitted by students about Nies: "Loring Nies was very inspiring. He made me want to pursue a career where I can make a difference." 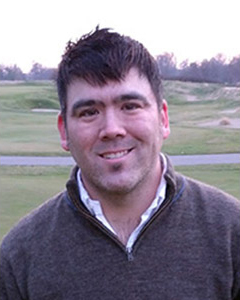 "He allowed his quirky and friendly character to positively enhance the material taught. I learned an enormous amount from my instructor, and I will definitely try to schedule another class with him later in the future." 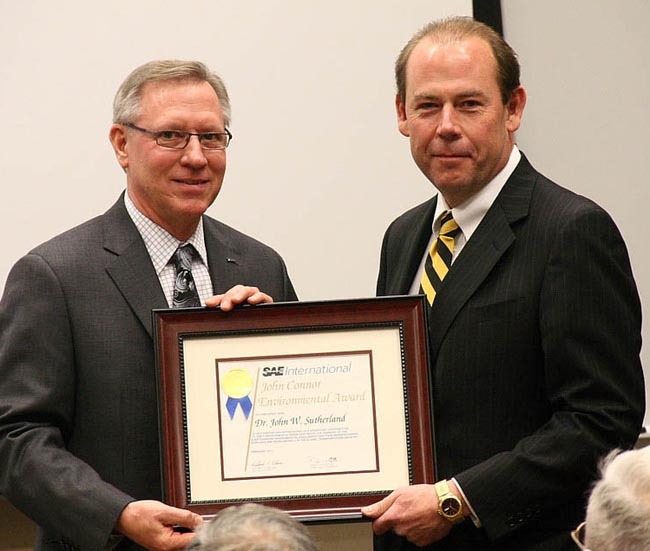 John W. Sutherland, the Fehsenfeld Family Head of Environmental and Ecological Engineering at Purdue University, received the SAE International John Connor Environmental Award at a recent SAE Indiana Section meeting. Established in 2001, the award recognizes the accomplishments of individuals who promote SAE International’s vision of meeting ever-changing environmental challenges facing manufacturers, suppliers and professionals in the global transportation industry. Professor Sutherland’s research contributions have related to environmentally responsible manufacturing. He has published more than 250 papers in journals and conference proceedings and is co-author of the textbook, Statistical Quality Design and Control: Contemporary Concepts and Methods.